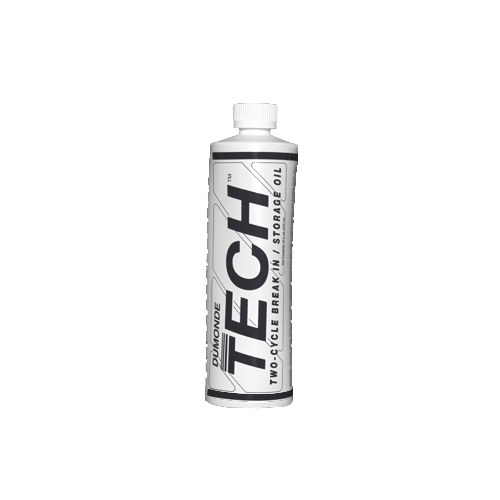 Dumonde Tech Break In / Storage Oil is designed for proper Break In on any Two Stroke engine. Recreational or Race, proper Break In determines both the short term life and performance of all engines. Dumonde Tech Break In / Storage Oil is a very complex formula that allows proper ring seat, work hardening and impregnates parts with a matrix compound film to protect surfaces against lean periods and corrosion. Through research it has been found that a high percentage of these processes are not achieved with conventional oils. By not achieving these effects, performance and durability can be greatly effected. Availability: Gallon, 4 oz and Pints.